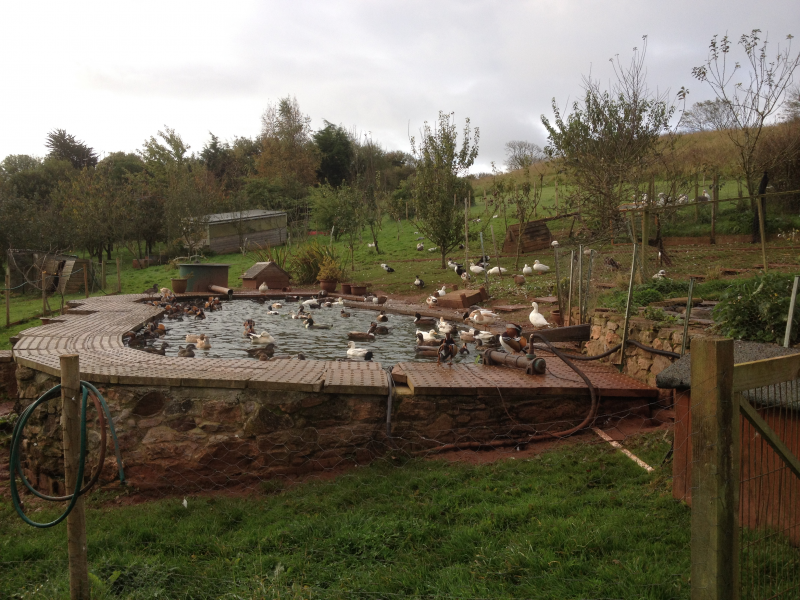 DescriptionWe have a small holding in Devon where we keep poultry (Chickens, various ducks, and geese) and bees. We also have cats who share our house. We have a small orchard and a Kitchen Garden plus an acre of gardens. The poultry are not for eating, but do provide us with a plentiful supply of eggs. Although not self sufficient in fruit and vegetables we do try to grow what we can, so there is usually fresh veg in season. Our needs are for people with either knowledge of gardening, vegetable/ fruit growing or some practical experience with woodwork or poultry keeping. During the winter months we also need help preparing wood for the winter. Ideally we need someone who has some experience working outdoors with animals and gardening and who is self motivated. Some of the help we need doing is heavy, so if you are not prepared for physical work then we are probably not the place for you. Please note that the UK requires a 'UK Working Holiday visa' for helpers from many countries to carry out any work in the UK, including voluntary work. Please note that if you do not include my name in your reply I will not consider you. Work requirements: We need people who are motivated by the outdoor life. Care of animals is essential. Gardening experience would be helpful. Because you have your own kitchen we provide essential food items for breakfast and a snack lunch which you prepare for yourself. I cook a full meal in the evening for us all to enjoy together. This is our opportunity to talk, exchange views and learn about each other. We have enjoyed experiencing other nationalities' cuisine and we are always happy if people want to do the cooking for us occasionally, although this is not essential. Although we are not vegetarian we do not eat red meat and I do not buy any. Preferring fish, poultry and vegetarian meals.I am sorry but I can not provide for a vegan diet. Keeping your accommodation clean and doing your own washing will also be your responsibility. A TV is provided and internet access is available, but we are in the countryside and the internet can be slow and downloading of films or music is not possible. Since this is a smallholding and the help needed is outdoors it is a good idea to come prepared for English weather. Coats/waterproofs and boots useful. We have some spares which you are welcome to borrow but cannot accommodate all sizes. We do provide gloves, unless you prefer to bring your own. We live just outside Torquay in the beautiful county of Devon with the sea a 25 minute walk away. Public transport does not come close to the house but there are good shops about a mile (under 2Km) away and we have bicycles you can borrow. The nearest bus stop is under a mile away (about 1.5Km) and Torquay town is a 15 minute bus ride. Once in Torquay there are good links to the rest of the West Country with many wonderful places to visit. We are always happy to help you to get around on your days off.